Findings showed Norwegian, on average, achieved 44 passenger kilometers per liter (pax-km/L), which is 33% higher than the industry average - soaring past 19 of its competitors. 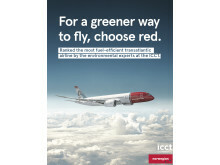 Norwegian, flies one of the youngest fleets in the world, comprised of Boeing 787 Dreamliners, 737-800s and 737-MAXs. 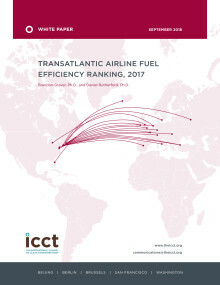 To download the entire white paper, visit: https://www.theicct.org/publications/transatlantic-airline-fuel-efficiency-ranking-2017 or click on the attachment below.